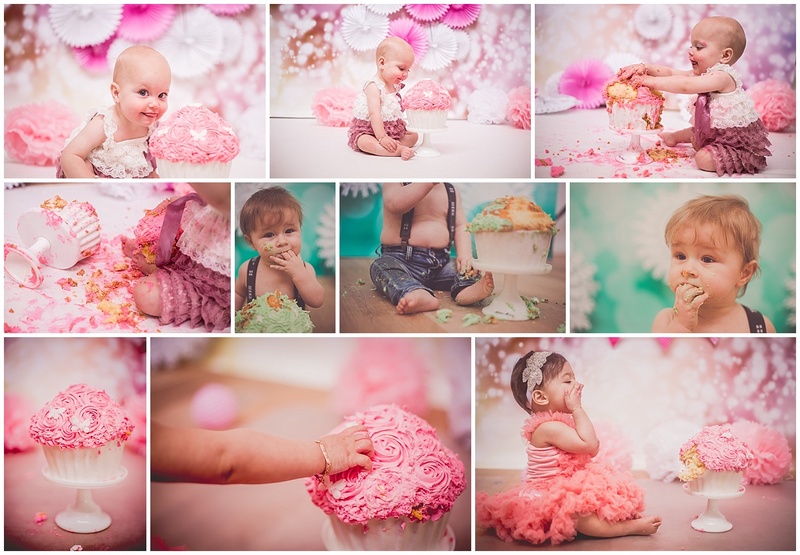 Dirty hands, sticky feet, coloured faces and a big smile from ear to ear; during a cake smash session it is allowed to make a mess of it. 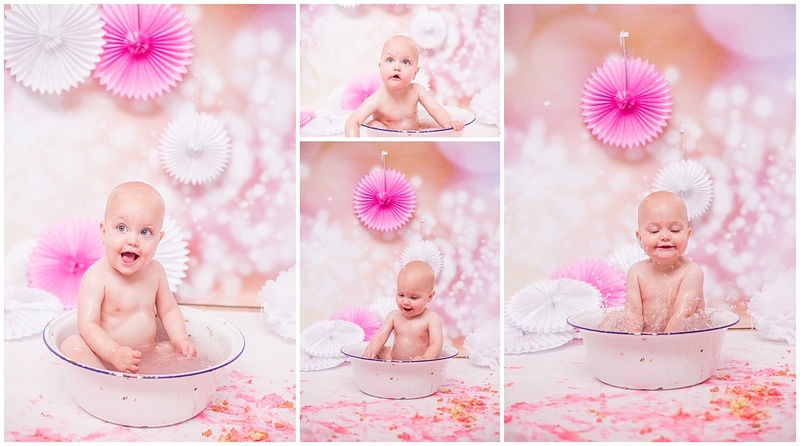 A cake smash session is a big hit in America, but is finding its way to The Netherlands now as well… It is a fun morning or afternoon for the little one where they can get dirty (and get a bath to get clean again) while they smashhhh…. eeehhh eat an XL cup cake, while I am taking pictures of the fun they have. The studio (or your chosen outdoor location) will be decorated with Helium balloons, coloured flags, a nice background and some pompons, all matching the gender of the little one. So either pink and purple for the girl ar bleu and mint green for the boy. We can finish the setting with nice clothing for the kids; you can buy it yourself for the session, but I also have multiple oncies and dresses for the girls and ties for the boys. Enough to choose from! After the session the little one will most likely be covered with cake and butter cream from the cup cake and to let you go home like that is not eehhh very nice of me… so that is why the lille one can take a nice bath with warm water. Just playing and splashing with water untill mom finds it time to get out the bathtub..
Not fancying the cake? Than what? 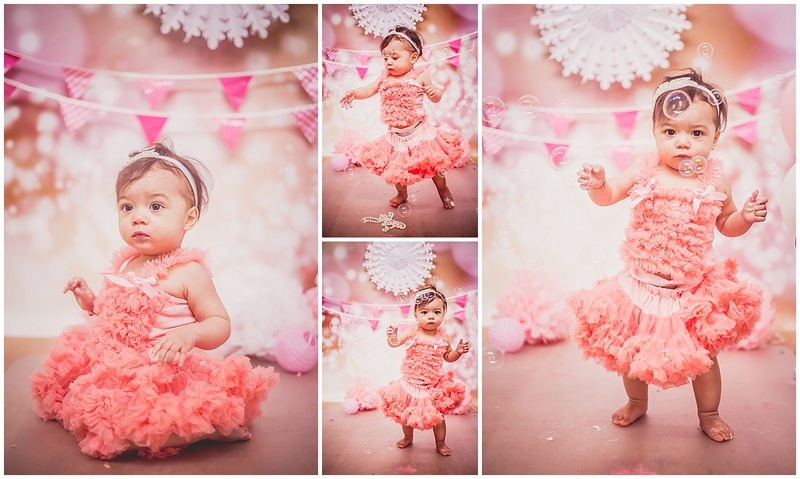 If the little one is not fancying the cake at all and is screaming and crying all the time we forget the cake and make a party ourself with balloons, bubbles and flags… That looks nice on the party invitations too… right?